We had discussed e-book pricing earlier and it seems like months later, there isn’t much clarity on how to price e-books, or having priced them, whether to offer a discount. 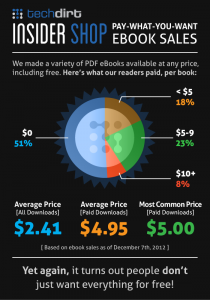 I recently came across this infographic which reflected one experiment in ebook pricing. So while it isn’t a snapshot of the industry it does offer valuable insights. a. Publishers are selling for free: I am sure they are trying to achieve something here but what it is hard to tell. Meanwhile, customers aren’t complaining. I have always felt that it is better to lower your prices than increase them or, worse still, start charging after you have provided your products or services for free. I hope there is business model being contemplated here. b. Low prices need not necessarily mean high sales: People will pay for products and services they perceive as being valuable. The price of an e-book thus becomes an important tool that the publisher and author could use to convey a sense of the value of the book. The challenge then lies in convincing the buyer that it is indeed a book to be bought at that price. The discussion around pricing has hitherto centred around whether e-books should be cheaper than printed books because of the production and warehousing costs involved. 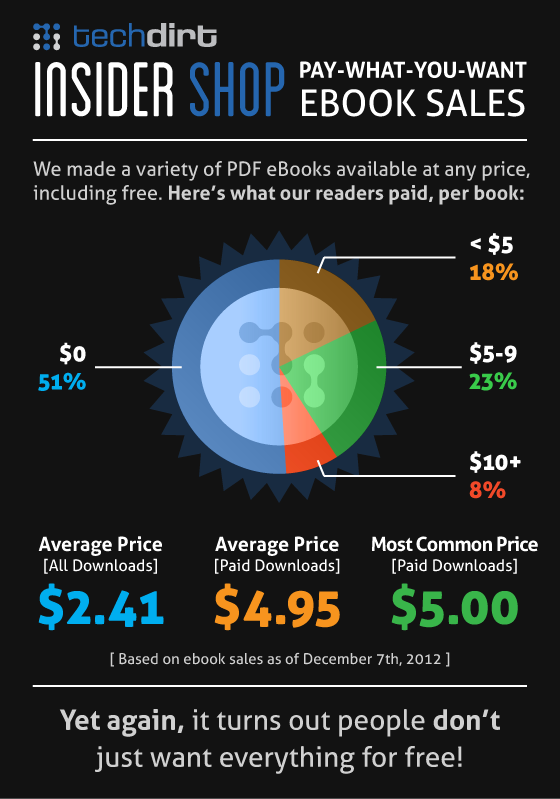 A brave publisher could turn this argument on its head and price books higher precisely because the format is digital. Like I said, it will need a brave publisher to pull off that argument. c. People will pay for e-books: Not everyone seeks everything for free and there are people who will understand the worth of a product and pay for it. A book that is paid for will also be valued by the buyer and perhaps will not be passed around casually. In the end, the price of the book may itself be a good deterrent to piracy. For this, the book has to be easily accessible and well-packaged. d. Free must go: The habit of giving away e-books for free not only destroys the worth of the product, it gradually destroys the entire industry. People hope that other publishers too will give away books for free and postpone purchase decisions. In the end, the practice benefits no one as the industry isn’t considered lucrative anymore and talent and expertise flee the scene.